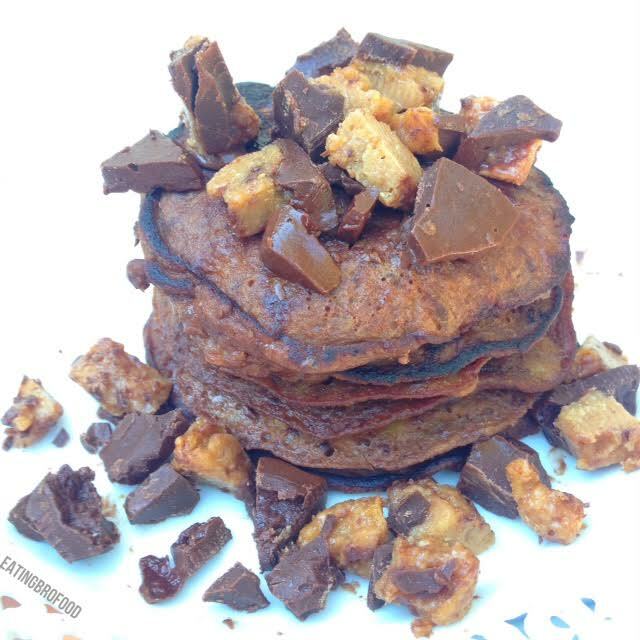 These pancakes are gluten-free, all natural and super easy. 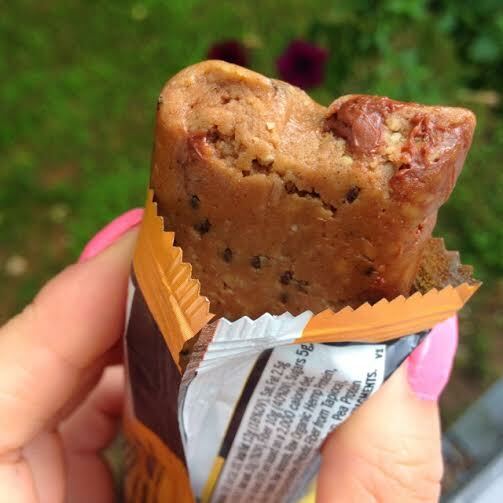 They melt in your mouth and pack a lot of protein without any protein powder. 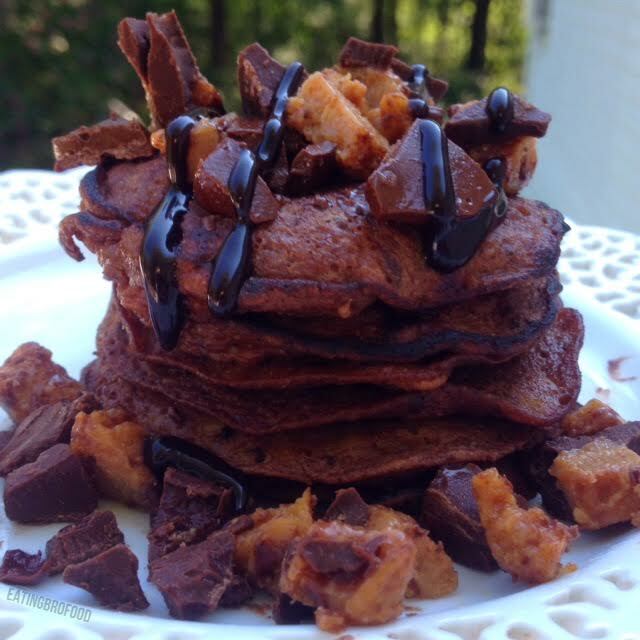 They are magical and taste like chocolate and peanut butter covered bananas. 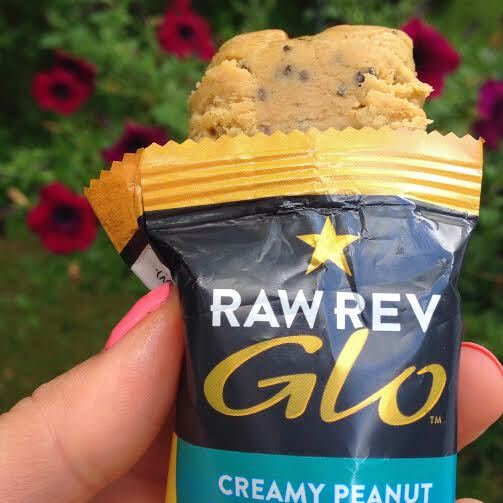 I was thrilled to try the Raw Rev Glow Protein bar line. 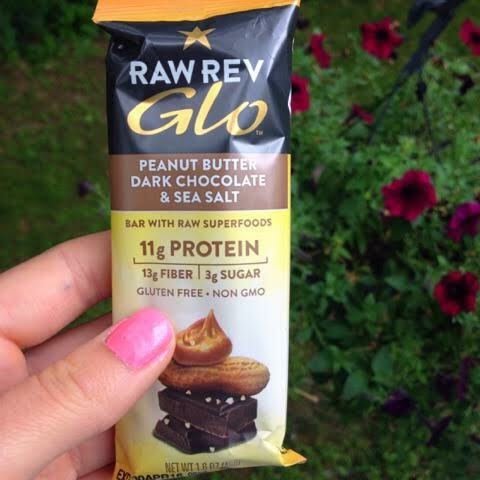 These bars range from 10-15 grams of protein per serving. 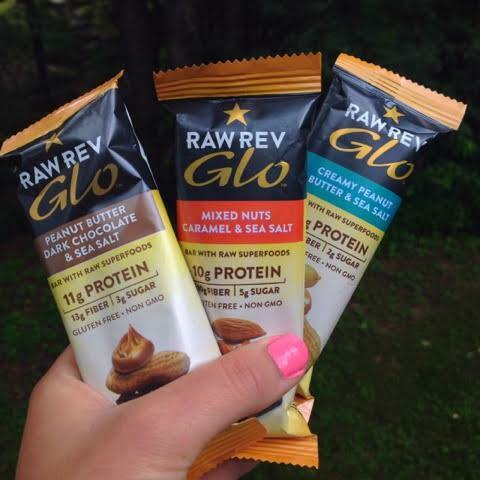 They are all made with a natural nut butter base. The flavors I tried included Mixed Nuts, Caramel & Sea Salt, Creamy Peanut Butter & Sea Salt and Peanut Butter, Dark Chocolate & Sea Salt. 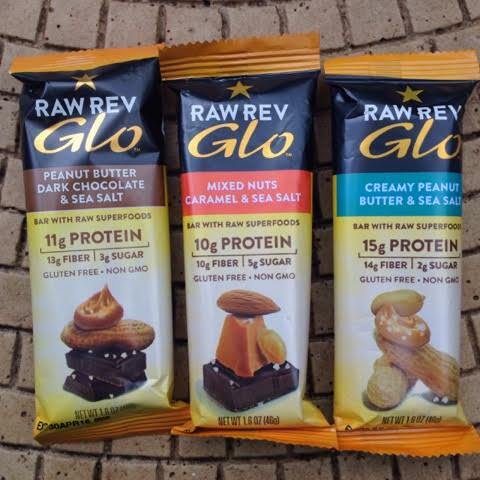 The bars are vegan, high protein, high fiber and are low in sugar. This bar was better than a candy bar. It was sweet and had notes of salted caramel paired with chocolate hunks and nut butter. 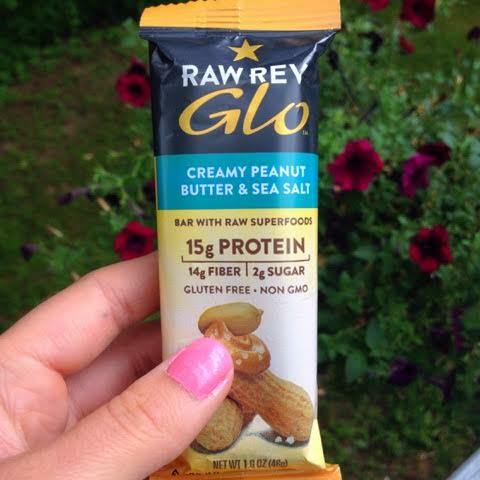 The bars are soft but not chewy and they are crumbly like thick nut butter. 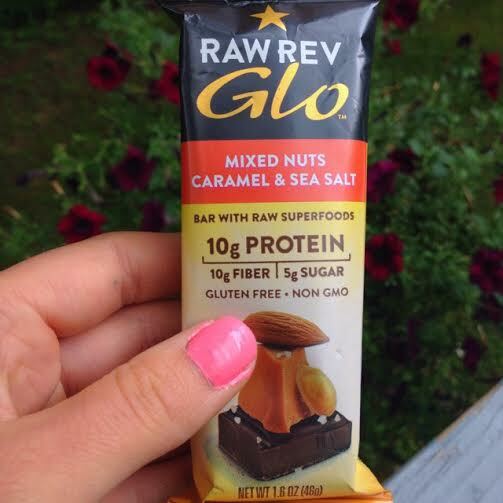 This bar has a hint of sweetness and is both smooth, crunchy and nutty. It has a buttery taste and feels like an indulgence. This one is very similar to the bar above but with dark chocolate. It was surprisingly the least sweet of the bars. 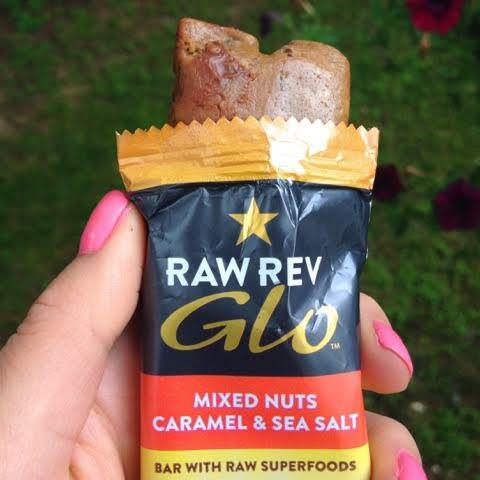 If I was going to purchase a box of these it would for sure be the Mixed Nuts, Caramel & Sea Salt flavor. You can buy these bars here. 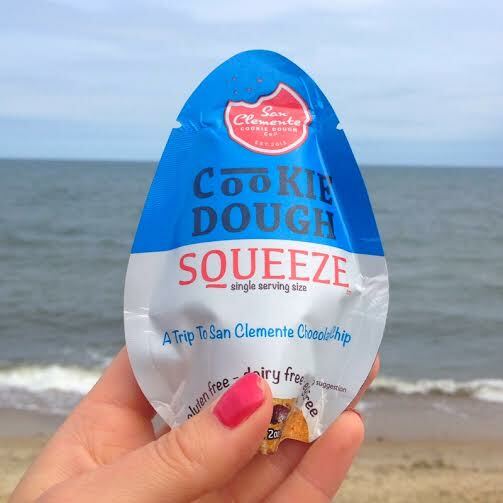 San Clemente Cookie Dough Squeeze packs are the only way I enjoy cookie dough on the go. It does not need to be refrigerated, conveniently comes in portioned out packaging and tastes amazing. Also, all of the flavors are gluten free, dairy free, and egg free making this dough vegan and for the health conscious. 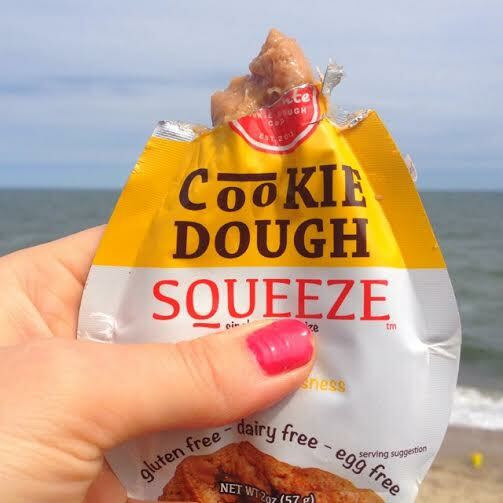 This is my favorite flavor out of the 3 cookie dough squeeze packs. Upon opening the package an aroma of irresistible peanut butter takes over your senses. 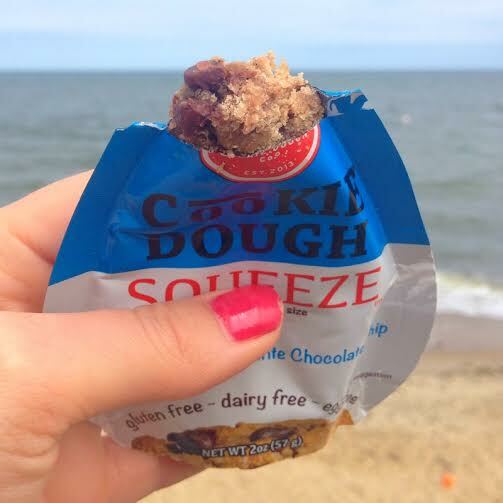 When tasting the dough you notice rich, natural, true-to-life peanut butter flavor with a complex balance of nutty and brown sugar flavors. 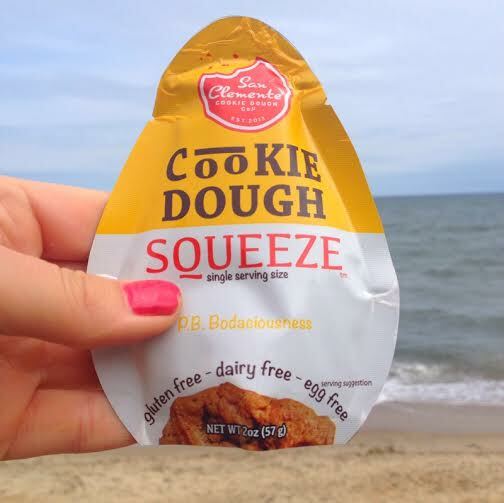 The texture of this cookie dough is similar to that of crunchy peanut butter mixed with sugar cookie dough base. Brownie No Frownie makes a wonderful edition to ice cream. 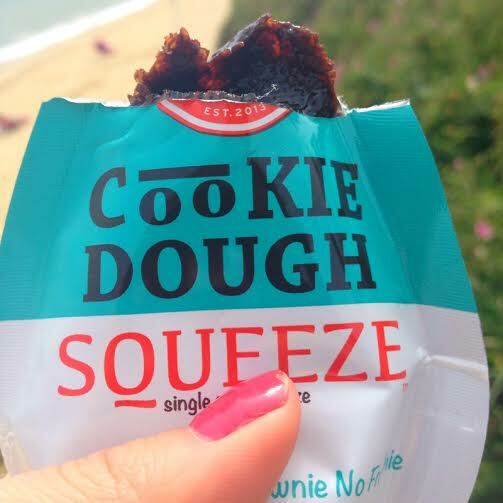 All 3 tasters thought this dough had the most cookie dough like texture. It has a rich and intense chocolate flavor. The chocolate chip variety tasted like a cookie fresh out of the oven, still gooey and warm. It has real hunks of natural chunky chocolate and a sweet vanilla buttery crumble cookie base. This is thicker than a typical cookie dough. 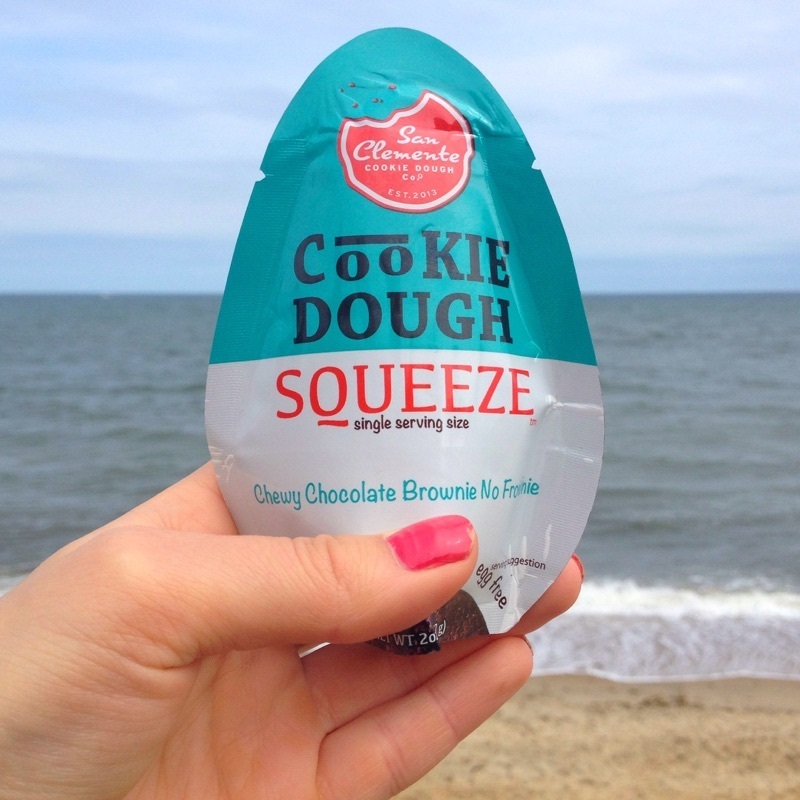 You can buy San Clemente Cookie Dough Squeeze packs here.